Protecting You and Our Planet. 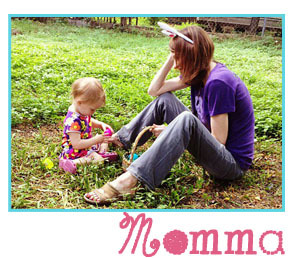 AN ECO-FRIENDLY SUNSCREEN WITHOUT HARSH ACTIVE CHEMICALS. Recent studies are showing that chemical sunscreens are more toxic than we realize, entering our bloodstream as soon as we put it on and showing up in our urine within 20 minutes. They can eventually cause kidney and liver dysfunction, autoimmune disease, and cancer. Parents need to be extremely cautious because many sunscreens labeled kid-friendly contain these toxic chemicals. Lisa Palmer, co-founder of TropicSport, created the product so that she could protect her kids from toxic sunscreen chemicals. Reports of a toddler experiencing burns on her face after her mom spread spray-on sunscreen on her cheeks and forehead with her hands left many parents alarmed and questioning which sunscreens are safe to use on kids. With so many kid-friendly sunscreen alternatives available, it seems that just making sure it’s labeled age appropriate is the safest thing to do. 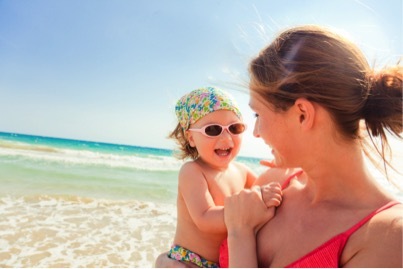 But studies are proving that parents need to show caution when choosing the right sunscreen for their kids. Palmer says that consumers would be shocked to find that approximately 70 percent of sunscreens contain harmful chemicals, the most common of which are oxybenzone, octinoxate, avobenzone and octocrylene. “Not only are these hard to pronounce and decipher, but they’re toxic to humans. It’s alarming that many sunscreens labeled kid-friendly contain these chemicals, which have been banned in Hawaii. If it’s killing the reefs, imagine what it does our children,” she added. Compared to chemical lotions, chemical spray-on sunscreens can be more harmful. They’re toxic, the fumes linger in the air where we inhale them, and they are flammable. Whether spray or lotion, within 20 minutes of applying chemical sunscreen, the toxins enter the bloodstream, are detected in urine, and have been known to cause cancer and have been shown to potentially result in kidney and liver dysfunction, and nervous system disorders. To purchase TropicSport family-safe, reef-friendly mineral sunscreen, visit www.tropicsport.com. 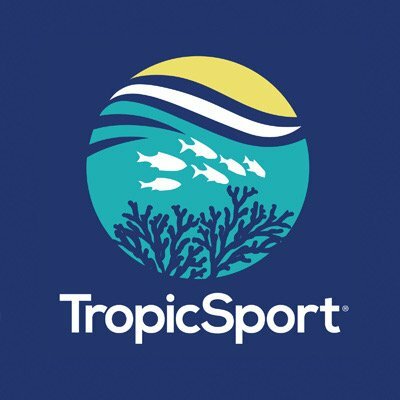 About TropicSport: TropicSport, part of X3EM Brands, manufactures in the USA a complete line of reef-friendly mineral sunscreens, as well as after-sun face and body cleansers and moisturizers in a complete skincare system that protects, cleanses and replenishes. 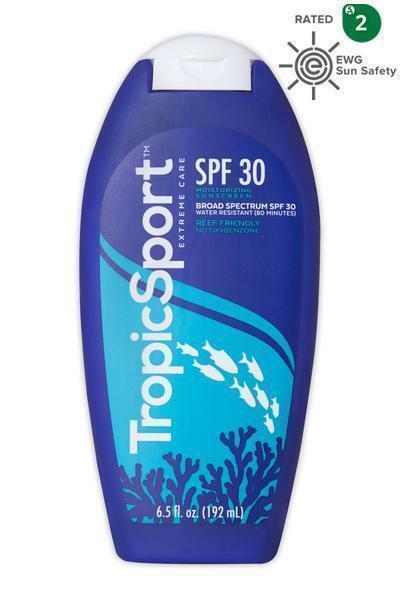 TropicSport sunscreen products are made from non-nano zinc oxide and titanium dioxide key to shielding the skin from the sun’s harmful rays in a non-goopy formula that doesn’t leave a ghostly white glow. It is one of the only sunscreens on the market that meets the U.S. FDA 80-minute and Australian 240-minute water resistance tests. Free from harsh, active chemicals that harm our bodies and the planet such as oxybenzone, octinoxate, avobenzone and octocrylene, TropicSport is safe for your skin and our planet. All products come in recyclable containers and are environmentally friendly. The company believes in giving back to like-minded organizations and donates up to 20 percent of sales to organizations that protect our health, children, families, communities and the environment. For more information and to order product, visit TropicSport.com.